If you're in the L.A. area on Monday, November 15, this book event may be for you. 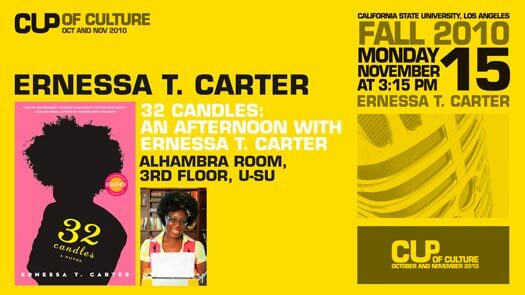 Ernessa T. Carter will be reading from and signing her novel 32 Candles at 3:15 pm on Monday, 11/15 at the CSULA Student Union in the Alhambra Room. The event is free to attend. Described as one of the freshest and funniest debut novels, Ernessa T. Carter’s 32 Candles follows Davie Jones, a Strokes t-shirt-wearing, Mississippi-accented, dark-skinned nerd, on her journey of self-discovery, acceptance, self-love, and romance from a childhood in Mississippi to adulthood in Los Angeles. I had the opportunity to hear hip hop performer Rocky Rivera at a recent cultural festival at Cal State L.A. 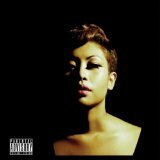 Excellent rapper, dope beats, socially conscious lyrics. My current favorite in my iPod. Check out her YouTube channel. If you get a chance, order her self-titled debut. I promise you'll love it! 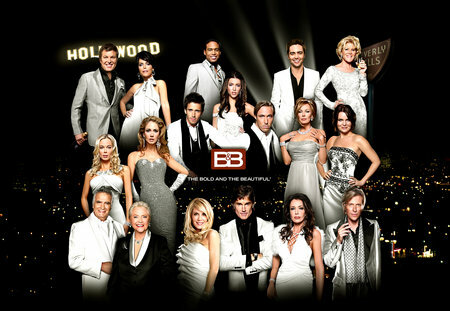 The CBS daytime drama, The Bold & The Beautiful has been doing a fabulous job lately with a storyline which features L.A. as a central character (where the show is set and filmed) and the homeless issues facing the city. In L.A. County, it's estimated that close to 50,000 people are homeless. Great, non-preachy episodes from last week's episodes on October 28 and October 29. If you have a chance, watch online.